With fall upon us, even though the weather is still hot, I’ve been inspired to do more soup recipes. 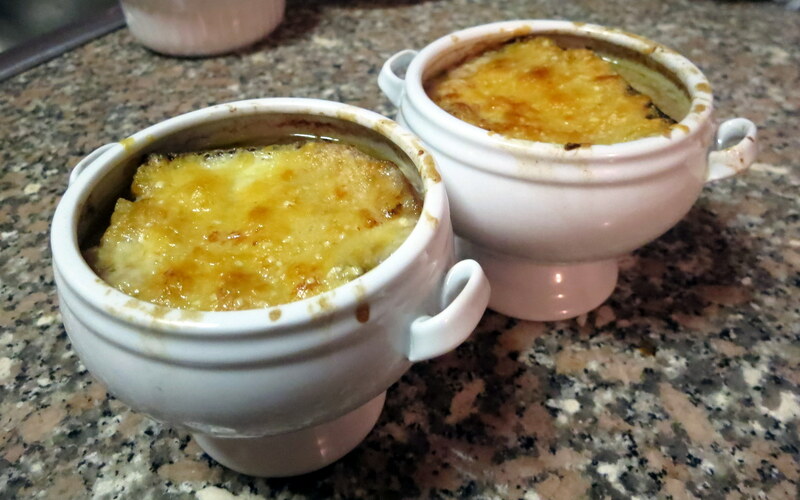 I’ve wanted to make my own French Onion Soup for ages, mostly because I am addicted to cheese (no joke) and it’s always such a satisfying appetizer. My friend Tori and I made this during one of our neighborly cooking sessions and improvised a bit. 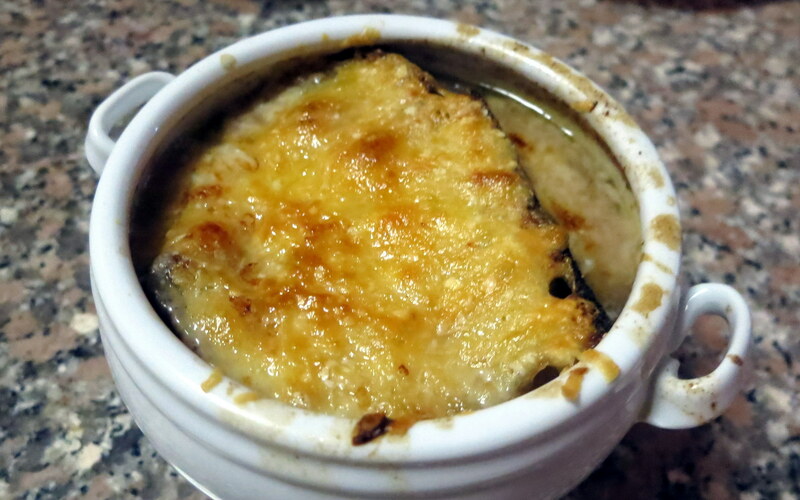 In the end the soup served as the appetizer and the main dish all in one — it was savory and filling and not too heavy for a warm summer night. It’s also pretty simple to make, and outside of the initial prep work of cutting the onions, doesn’t take up that much time. 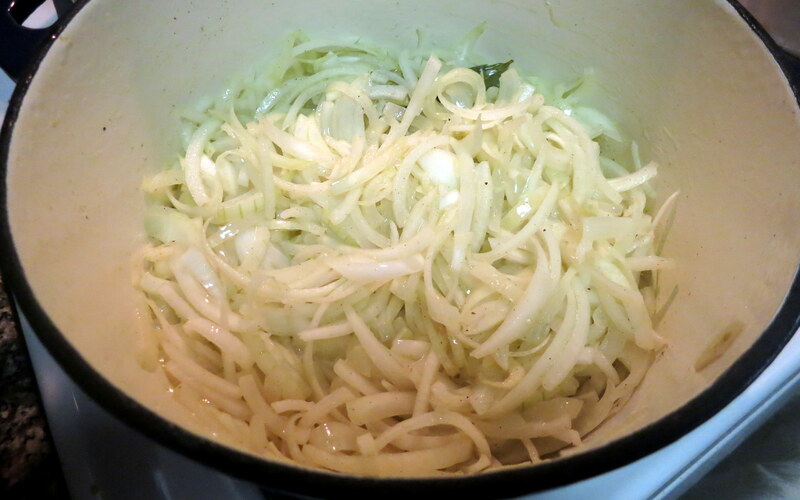 Beware thought — slicing four onions if not the faint of heart! Add the wine, bring to a boil, reduce the heat and simmer until the wine has evaporated and the onions are dry, about 5 minutes. Discard the bay leaves and thyme sprigs. Dust the onions with the flour and give them a stir. 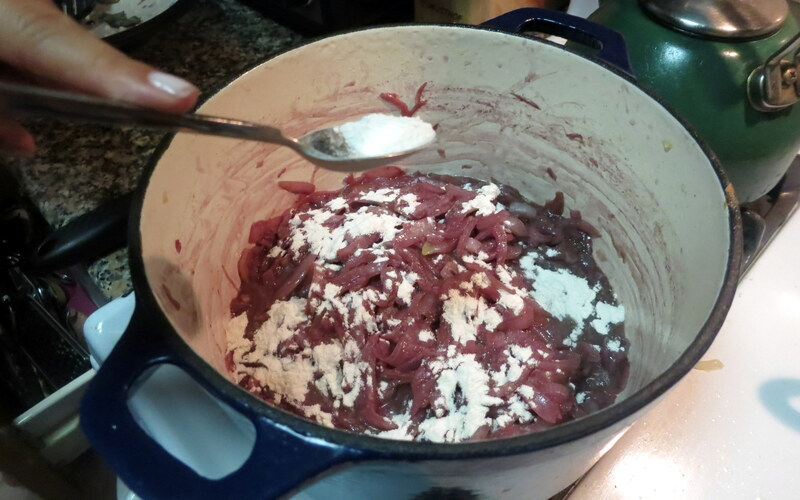 Turn the heat down to medium low so the flour doesn’t burn, and cook for 10 minutes to cook out the raw flour taste. Now add the beef broth, bring the soup back to a simmer, and cook for 10 minutes. Season, to taste, with salt and pepper. When you’re ready to eat, preheat the broiler. Arrange the baguette slices on a baking sheet in a single layer. 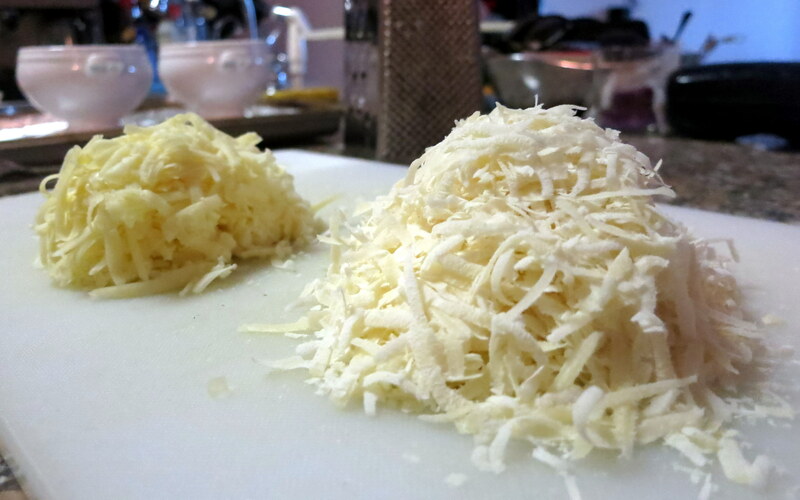 Sprinkle the slices with the Gruyere and broil until bubbly and golden brown, 3 to 5 minutes. 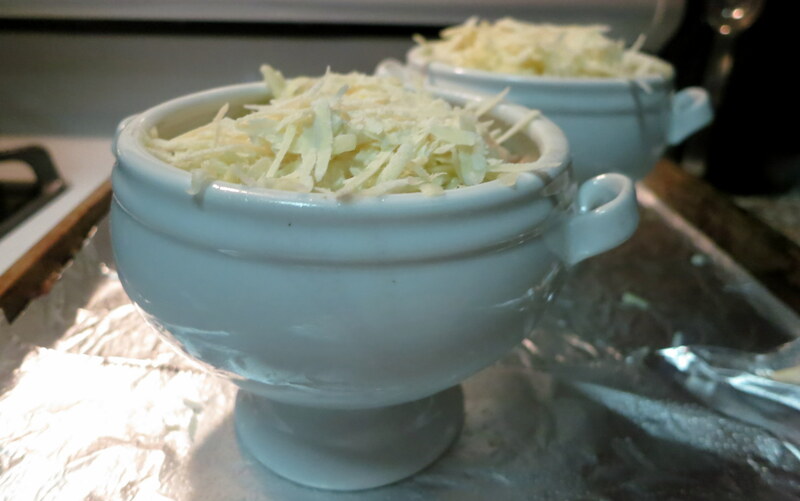 Ladle the soup in bowls and float several of the Gruyere croutons on top.